Mid 19th Century house in Manor Brow, built as a lodge to Castlerigg Manor (see NY2723 : Casterigg Manor and NY2723 : Casterigg Manor), part of which can be seen in the background. Castlerigg Manor is now a Catholic Youth Centre owned by the RC Diocese of Lancaster, with the lodge providing self catering accommodation. 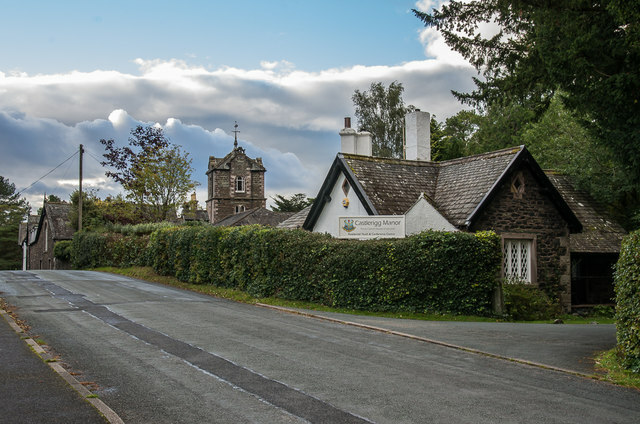 Both the manor and the lodge are Grade II listed - for the lodge see Link . © Copyright Ian Capper and licensed for reuse under this Creative Commons Licence.